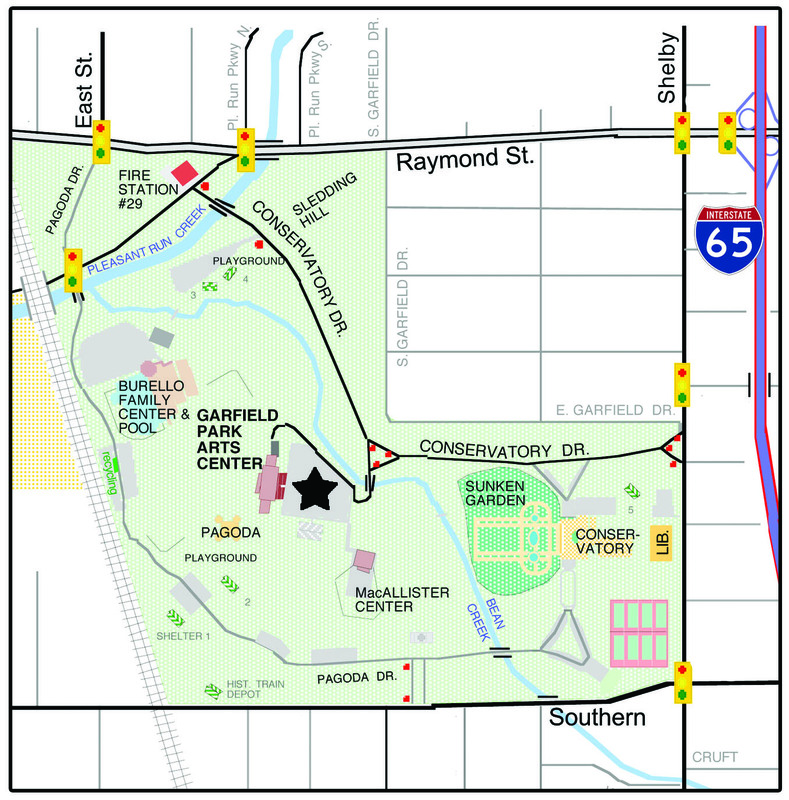 If you’ve never been to the Garfield Park Arts Center before, here are step by step directions to help you find us! Continue west into the park on Conservatory Drive. When you come to a “Y” in the road, veer left, continue over the bridge, and turn right into the parking lot. The Arts Center will be at the end of the large parking lot. Head South on East Street. Turn east (left) on Raymond Street. Turn south (right) on Shelby. You can find us on Google Maps here, or if you are using a GPS, our address is 2432 Conservatory Drive. We don’t recommend that you use MapQuest, as their map is not entirely accurate with our location.